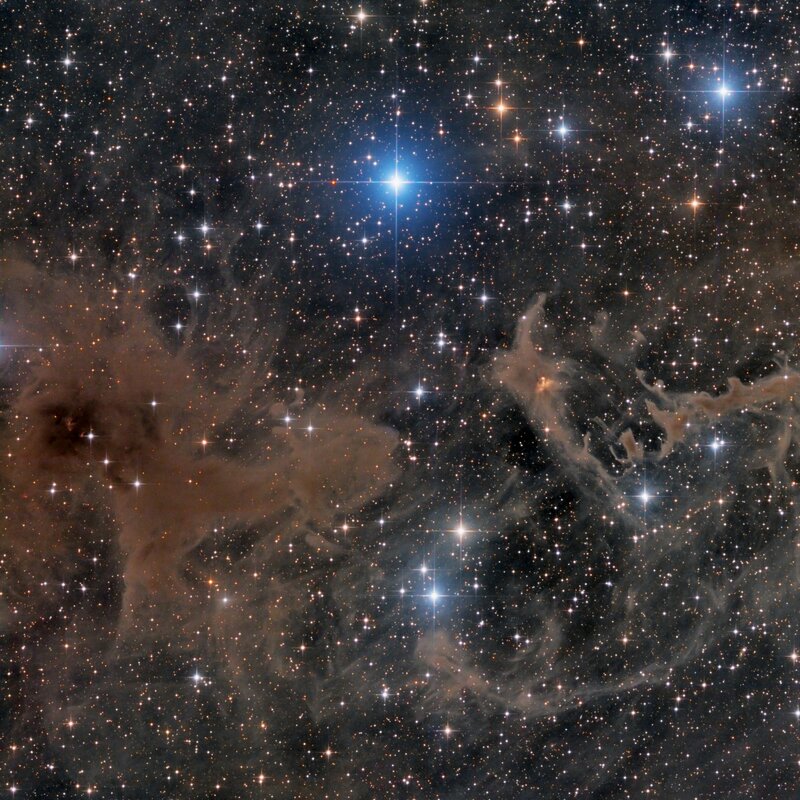 This nebular region in Cepheus sits just over 11 degrees from Polaris, and largely consists of a diffuse dark nebula (L) and bright nebula (R) catalogued as LDN1228 and LBN552, respectively. Near the center of LBN552 sits an orange reflection nebula, catalogued as Cohen 129, which appears as a triangle protruding the dimmer diffuse nebula region. More to the left, in the dense, darker areas of the molecular cloud LDN1228, is a cluster of young stars, including a star emitting a massive jet. Numerous “Herbig-Haro objects” can also be seen in the same area of this picture. This frame shows only part of the LBN552 and LDN1228 structures, which cover a much larger area and these combined are part of an even larger system of clouds in this area of the Milky Way.